These forged 3-1/2" bore stroker pistons for 1984-'99 HD® Evolution® big twin engines are required for the S&S 89" stock bore stroker kits, which include S&S 4-5/8" stroke flywheels. 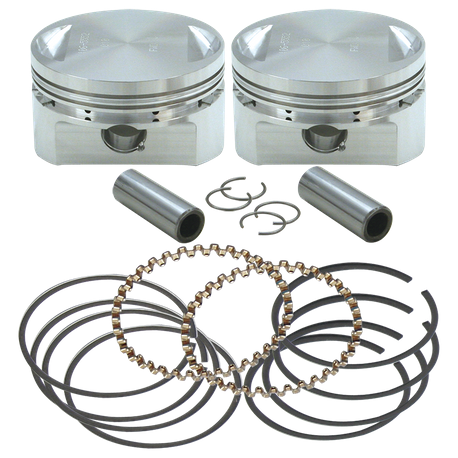 Pistons are designed to be used with stock cylinder heads or with S&S Performance Replacement heads. Low silicon forged material and advanced S&S piston skirt design result in high strengh and low noise. 3-1/2" standard bore.